One can easily work with a small team, but as the team size increases one finds it difficult to keep up with teammates. Large teams not only have challenges with effective communication but also have a hard time maintaining file revisions which are being worked upon by different teammates. All developers working in teams know the importance of revision control system. In fact, revision control systems can also be termed as the key element for team collaboration on the cloud. Bitbucket is one such service that lets you manage your file versions on the cloud while offering a plethora of other useful features. Bitbucket is based on cloud technology and offers end-to-end visibility right from the very beginning to the deployment phase. You don’t have to setup any server or sync anything, meaning you can start working on your code right away. It makes collaboration easy with its support for pull requests and inline comments. Pull requests come in handy while reviewing the code, while inline comments help the team understand each other’s implementation. This will help your team deliver high-quality code quickly and more efficiently. Another main advantage of using Bitbucket is the fact that it supports both Mercurial as well as Git. It also has a desktop client with a beautiful interface that makes collaboration a delightful experience. Bitbucket allows you to effectively manage a small team working on a project or a very large team spread across the globe. You can use the software either on the company’s cloud or can deploy it on your own server. This gives you total freedom and would also save a lot of time in case of a slow connection, or when you are facing internet bandwidth issues. However, using the Bitbucket server has its advantages too. These servers offer enterprise-grade security, fine-grained permission controls, and super-fast access from across the globe 24×7. Scalability of the IT infrastructure is what all managers should think about before opting for any new service or technology. Bitbucket servers are fully scalable and would grow with your team. These servers also offer active-active clustering (for minimal downtime), and smart mirroring facilities for fast cloning across the continents, for keeping your business up and running in case of any disaster. Now in order to decide which Bitbucket implementation suits your needs best, kindly check the comparison table of all the available features here. You can integrate your Bitbucket with JIRA, HipChat, and Bamboo for end-to-end visibility and automation of your entire development process. With JIRA integration, you can create Bitbucket branches from the JIRA software, update tickets inside, and even track the status of your upcoming releases in JIRA’s software release hub. ­You can also monitor the status of Bamboo builds in Bitbucket and detect issues before they mess something up. With its support for HipChat, you can connect your Bitbucket repositories to HipChat rooms and get notifications for pull requests. No matter what Bitbucket plan you have opted for, you always get free and unlimited access to private and public repositories. The users can also have granular access control for assigning the right person to modify a certain part of the code. This kind of branch permissions would help you determine who is responsible for what and thus improve your team productivity greatly. Bitbucket also allows you to have “diff views” for comparing different code revisions side-by-side and is extremely convenient to work too. You don’t need to hop between multiple applications and can manage your entire development workflow right from the Bitbucket interface. You can try Bitbucket for free by subscribing to its free plan and see how it enhances your productivity. 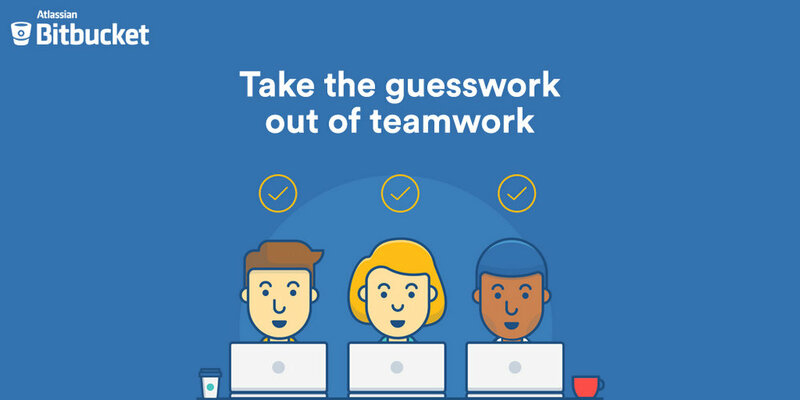 "5 Reasons That Make Bitbucket A Must Have For Coding Teamwork! ", 5 out of 5 based on 2 ratings. Govt Considering Apple’s Demands With An ‘Open Mind’; Manufacturing Policy Can Be Changed For All!